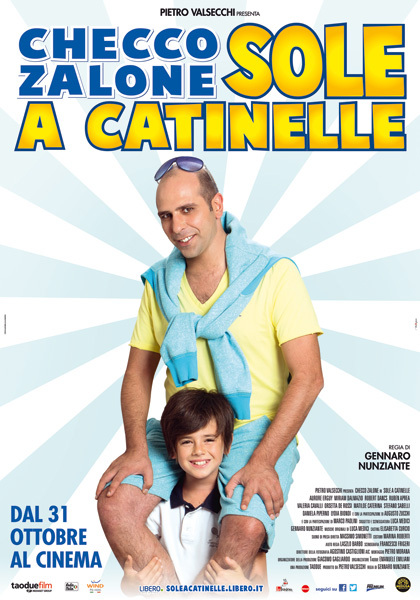 Italiensk Kulturforening i Stavanger - Filmkveld: "Sole a Catinelle"
As Italy drags itself out of the deepest recession since World War II, Italians are laughing at a holiday film that makes fun of their country’s economic woes. Sole a Catinelle (rough translation: The Sun Is Shining Cats and Dogs) has made $69 million at the box office in less than a month. The film is set in modern Italy, which is overloaded with public debt and struggling to emerge from a recession. The story focuses on 36-year-old Luca Medici, a husband and father who, like many other Italians, has lived for years beyond his means. He is from Bari, in the southeastern region of Puglia. After years of unexpected success as a door-to-door vacuum-cleaner salesman and lavish spending on high-tech gadgets, he suddenly loses his job and is haunted by creditors. Medici’s family life is strained, with a wife who is also about to lose her job and a 9-year-old son to whom he has difficulty relating. He decides to gamble everything on a dream holiday to patch up family differences.